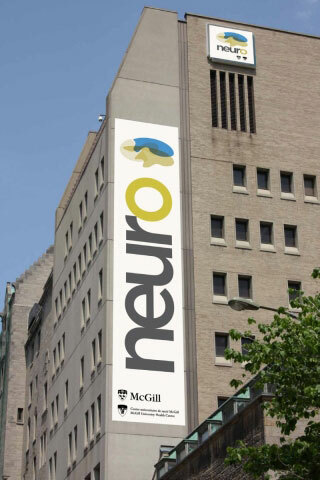 Researchers at the Montreal Neurological Institute who are playing key roles in uncovering the mechanisms underlying ALS will share in $3.9 million in research funding, part of $4.5 million announced on Nov. 23, by the ALS Society of Canada in partnership with Brain Canada. Researchers at the Montreal Neurological Institute of McGill University who are playing key roles in uncovering the mechanisms underlying amyotrophic lateral sclerosis (ALS) will share in $3.9 million in research funding, part of $4.5 million announced on Nov. 23, by the ALS Society of Canada in partnership with Brain Canada. Guy Rouleau and his team, comprised of researchers from the MNI (including Patrick Dion, Edward Fon and Stefano Stifani), the Université de Montreal and Université Laval, have been awarded a $2.2 million Hudson Grant to study motor neurons and astrocytes created from people living with different forms of ALS via stem cell technology. They will examine the biology of these stem cells to determine if their characteristics in the laboratory can represent different forms of human disease and further develop them as a potential screening mechanism for therapeutics. The tools and tests created in this project will be valuable for both Canadian and global ALS researchers as new resources to understand the disease and find new ways to treat it. Peter McPherson is part of a national research team led by Janice Robertson of the University of Toronto which has been awarded a $1.6 million Hudson Grant to understand whether the most common genetic abnormality in ALS, which occurs in the C90RF72 gene, causes or contributes to the disease through a loss of the gene’s normal biological function. Gary Armstrong has been awarded a $100,000 Discovery Grant to create new zebrafish models of ALS for the most prominent genetic cause of the disease, which relates to mutations in the C9ORF72 gene, using a state-of-the-art technique.